Jimmy McAleer was not much of a hitter, but this brilliant defensive outfielder was a smart, clever, and ambitious man who helped create two of the original eight franchises of the American League. In 1900 he became the first manager of the Cleveland franchise now known as the Indians, and two years later league president Ban Johnson chose McAleer to assemble and manage a new team in St. Louis in direct competition with the established Cardinals of the rival National League. McAleer’s new club, the Browns, nearly won the pennant in its first year of operation. Though the Browns soon fell to the second division, McAleer led the team for eight years, winning more games than any other manager in Browns team history. He then moved on to manage the Washington Senators, where he started Walter Johnson on the road to stardom, and ultimately became president and part owner of the Boston Red Sox in 1912. His Red Sox won the World Series that year, but a series of disputes both on and off the field drove him from the game and deprived the American League of one of its most talented leaders and organizers. James Robert McAleer, the youngest of eight children, was born in Youngstown, Ohio, on July 10, 1864. His Irish-born father, Owen, and English-born mother, Mary Miller, had emigrated to Canada (where Jimmy’s five older brothers were born), then moved to Ohio not long before Jimmy’s birth Jimmy’s father, who died before 1870, was a boilermaker, and all of his siblings found employment as factory laborers as soon as they were old enough to work. (Jimmy’s older brother Owen later moved to California, founded an iron and steel company there, and became a wealthy industrialist and, from 1904 to 1909, mayor of Los Angeles.) Jimmy, however, loved baseball, and was not interested in spending his life in the steel mills of Youngstown. He was determined to earn a living in the game, and practiced diligently to that end. Jimmy began his playing career with minor-league teams in his hometown during the early 1880s before advancing to Charleston (South Carolina) of the Southern Association in 1886. After a season and a half with Memphis in the same circuit, he moved to Milwaukee of the Western Association in 1888. His stellar fielding drew the attention of the Cleveland Spiders of the National League, which he joined in 1889. He switched to Cleveland’s Players League entry in 1890, but returned to the Spiders at season’s end, remaining with the team for eight more years. McAleer, who stood 6 feet tall and weighed 180 pounds, was the prototypical good-field, no-hit outfielder. One of the weakest batters in the National League (in 1898, 84 of his 87 hits were singles), he more than compensated for his shortcomings at the plate with his brilliance in the field, in the eyes of many of his contemporaries. He was considered the best defensive outfielder of the 1890s, and veteran sportswriter Franklin Lewis, in his definitive history of Cleveland baseball published in 1949, called McAleer “perhaps the most graceful outfielder known to the game with the exception of Tris Speaker.” McAleer covered vast expanses of ground and gave strong support to Cy Young, George “Nig” Cuppy, and other Cleveland pitchers. After the 1898 season, McAleer announced his retirement as a player and returned to Youngstown, where he purchased and managed the local Inter-State League team and waited for a chance to direct a team in the majors. He also opened a haberdashery, McAleer and Snodgrass, with a man named Charles H. Snodgrass at 18 West Federal Street in Youngstown. A managerial opportunity came in 1900, after the National League folded the Spiders and three other poorly performing franchises. 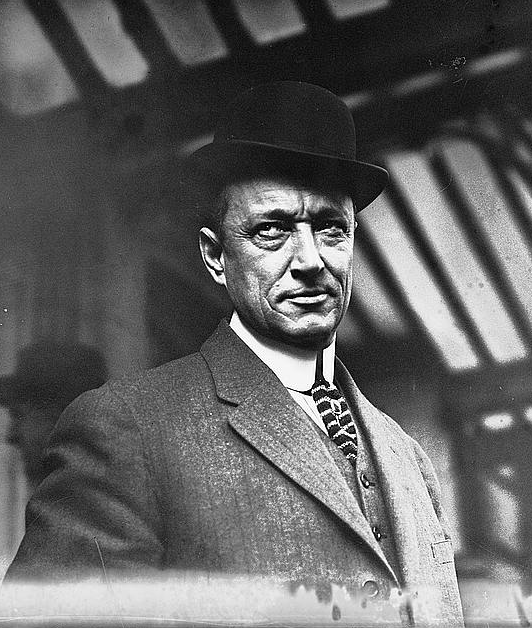 Ban Johnson, president of the newly renamed American League, then placed a team in Cleveland and hired McAleer to manage it. His Cleveland ballclub finished sixth in 1900 and seventh in 1901, after the upstart circuit assumed major status and declared war against the National League. The Cleveland manager played an important role in the battle between the leagues. He proved to be one of Ban Johnson’s leading recruiters, persuading many National League stars to cast their lot with the new circuit. In late 1901, Johnson moved the struggling Milwaukee franchise to St. Louis and asked McAleer to manage the team, which was named the Browns, and recruit players for it. The new leader scored a coup when he induced seven members of the St. Louis Cardinals, including future Hall of Famers (and former Spiders teammates) Jesse Burkett and Bobby Wallace, to join his Browns. McAleer’s raid devastated the Cardinals, who did not reach the first division again until 1914, and made the Browns the more popular team in St. Louis. Burkett batted .306 in 1902, while Jack Powell and Red Donahue won 22 games apiece as McAleer led the Browns to a strong second-place finish. Though McAleer managed the team for eight seasons, St. Louis never surpassed its 1902 performance under his leadership. The Browns dropped to sixth place in 1903, remained there in 1904, and fell to last place in 1905, though they drew more fans than the rival Cardinals. Several of the Browns, including outfielder Jesse Burkett, shortstop Bobby Wallace, pitcher Jack Powell, and catcher Jack O’Connor, were coming to the end of long careers, and the team fell in the standings as its key players aged. McAleer tried to improve the Browns through trades. In December 1904, he sent the fading Burkett to the Boston Americans for cash and George Stone, an outfielder who had been the talk of the minors with Milwaukee in 1904. Stone blossomed in St. Louis, leading the league in hits in 1905 and winning the 1906 batting title. McAleer traded Jack Powell to the New York Highlanders for pitcher Harry Howell and cash in March 1904, then repurchased Powell the following year and restored him to the rotation. In 1908, McAleer purchased the erratic left-hander Rube Waddell, who had worn out his welcome with the Philadelphia Athletics. Though Waddell quit the team briefly that spring when McAleer refused him an advance on his salary, he won 19 games and teamed with Howell, Powell, and Bill Dinneen to form a formidable pitching corps. All four starters posted earned-run averages of 2.11 or better for McAleer that season. The Browns battled the Tigers, Naps, and White Sox for the 1908 pennant, leading the league in July before fading to a fourth-place finish. McAleer expected the Browns to challenge again in 1909, but injuries and the protracted illness of George Stone knocked them out of contention. The team suffered through a 2-20 skid in May and June and fell to seventh place as the St. Louis newspapers produced a steady stream of condemnation. “There are things a manager should be held accountable for, and I am willing to get my share of criticism,” said a defiant McAleer, “but unforeseen accidents and a steady run of ill luck are not among the causes for criticism.” Owner Robert Hedges did not agree, so McAleer resigned in September 1909, accepting an offer of $10,000 per year to manage the Washington Senators. He had piloted the Browns to only two first-division finishes (in 1902 and 1908) in his eight years at the helm, but the team quickly fell to the bottom of the standings after his departure. The Browns did not finish as high as fourth place again until 1920. Washington was a last-place team, but featured the most promising young pitcher in the major leagues. Walter Johnson, a 22-year-old fastballer, had compiled a 32-48 record in his first three seasons. His previous managers had used him irregularly, alternating flurries of activity (in 1908, Johnson pitched three complete-game shutouts in four days) with periods of inaction. McAleer gave Johnson a more regular workload, and the pitcher responded with a 25-win season. The Senators, led by Johnson, finished seventh in 1910 but won 24 more games than the previous year. McAleer, who gained partial ownership of the Washington franchise, developed a reputation as an entrepreneur during this time. He put together all-star teams to play tune-up matches against the American League champion Philadelphia Athletics before the 1910 and 1911 World Series. The games helped the Athletics stay in shape for the Series, both of which they won. In July 1911, McAleer assembled one of the greatest all-star aggregations of all time to play a benefit game for the family of the late Cleveland pitcher Addie Joss. McAleer’s team, which included Ty Cobb, Tris Speaker, Walter Johnson, and other stars, defeated Cleveland by a 5-3 score and raised almost $13,000 for the Joss family. McAleer also tried, unsuccessfully, to interest major-league players and executives in an exhibition tour of Japan that year. Washington finished in seventh place again in 1911, and McAleer was ready to move on when the owners of the Boston Red Sox put half of their team up for sale. McAleer’s longtime friend and hunting companion, Ban Johnson, arranged a deal in which McAleer and Robert McRoy, Johnson’s personal secretary, bought 50 percent of the team. The deal was consummated in September 1911, and McAleer took over as president of the club. McAleer personally owned only 10 percent of the Red Sox, with the rest of the money coming from a syndicate of investors assembled by Johnson. One key shareholder was H.W. Mahan, a Chicago banker who was the father-in-law of Garland “Jake” Stahl, a former Boston infielder who had left the game to enter the banking world. McAleer, most likely at the insistence of his investors (and of Johnson, who was a close friend of Stahl’s family), hired Stahl to manage the Red Sox. The 1912 season, McAleer’s first as club president, was an unqualified success. The team opened its new stadium, Fenway Park, on April 20, coasted to the pennant by 14 games over the second-place Senators, and defeated the New York Giants in the World Series. However, McAleer and Stahl, who was not McAleer’s choice to manage the team, clashed often. The team was also divided by friction between Irish Catholic players, led by catcher Bill Carrigan, and the Protestant contingent headed by stars Tris Speaker and Joe Wood. McAleer was an Irish Catholic, while Stahl, a Protestant, was a close friend of Speaker and Wood. The two factions engaged in petty bickering and the occasional physical altercation, while Stahl and McAleer battled openly. The feuding on the Boston club provided much fodder for local newspaper columns and marred an otherwise successful season. The differences between Stahl and McAleer came to a head during the World Series. With the Red Sox leading the Series three games to one (with one tie), Stahl chose Joe Wood to pitch Game Six at Fenway Park. McAleer, however, ordered his manager to send Buck O’Brien, an Irish Catholic, to the mound instead. McAleer had his way, and the Red Sox lost 5-2, with all five runs scored off O’Brien in the first inning. Wood was so angry with the outcome that he reportedly attacked O’Brien with a bat before the seventh game. Teammates broke up the ugly fight, but Wood pitched so poorly afterward that many believe to this day that he lost the game on purpose. He faced only nine batters in Game Seven, allowing six runs and seven hits before giving way to a reliever. He appeared to be merely lobbing the ball across the plate, perhaps to show his disgust with McAleer, or possibly because he was exhausted from the pregame fight with O’Brien. Though the Red Sox eventually prevailed in the eight-game Series, questions about the integrity of the seventh game of the 1912 World Series have lingered ever since. McAleer’s popularity in Boston was further damaged by a ticket fiasco before Game Seven. The Royal Rooters, Boston’s boisterous, mostly Irish fan club headed by Mayor John “Honey Fitz” Fitzgerald, paraded on the field at Fenway Park before the game and proceeded to their usual block of seats in the left-field stands, only to find that club management had sold the seats out from under them. A near-riot ensued that delayed the game for nearly an hour before the police could gain control of the situation. McAleer blamed a “clerical error” for the mix-up, but the outraged Rooters called for a fan boycott of the eighth game the next day. As a result, only about 17,000 people, half of Fenway Park’s capacity, saw the Red Sox win the world championship. The Red Sox, with Wood suffering from injuries that eventually derailed his promising career, struggled to stay in the pennant race during the early part of the 1913 season. The Philadelphia Athletics built a sizable lead, and by mid-July the dissension-ridden Red Sox were mired in fifth place, 18 games behind the Athletics and two games under the .500 mark. The tension between the Catholics and Protestants had to be resolved, one way or another, and on July 15 McAleer came down firmly on the side of the Irish Catholics. He fired Jake Stahl as manager and replaced him with Bill Carrigan. Carrigan’s appointment as manager steadied the Red Sox, who played better ball during the last half of the 1913 season and finished in fourth place. However, McAleer’s dismissal of Stahl spelled the end of his tenure as president of the team. The moneymen behind the club were angry at McAleer for dumping Stahl only nine months after winning the world championship. The fans were upset by the team’s poor performance, and the Royal Rooters were still seething over the World Series ticket debacle of the previous fall. Ban Johnson was distressed by the turmoil in Boston and the imminent threat posed by the new Federal League, and secretly began looking for a man with deeper pockets to replace McAleer. A few months later, he found one in the person of a Canadian-born businessman, Joseph Lannin. While McAleer was out of the country in late 1913, accompanying the Giants and White Sox on a round-the-world tour, Johnson met with members of McAleer’s investment group and persuaded them to sell their stock in the Red Sox to Lannin. Before long, Lannin controlled enough shares to depose McAleer as head of the ballclub. A tersely-worded telegram from Johnson, sent to a surprised McAleer in early 1914, brusquely informed the Boston team president of his ouster. McAleer, stripped of power, had no choice but to sell out to Lannin as well, ending his association with the Red Sox and, as it turned out, with baseball itself. He never returned to the game, and never spoke to Johnson again. McAleer married at least twice, the first time by 1900; the 1920 federal census shows McAleer with a wife six years his junior, Hannah (or Anna) McAleer. He pursued business interests in Youngstown until becoming ill with cancer in the early 1930s. On April 29, 1931, four months after his wife passed away, and two months after marrying singer Georgianna Rudge, Jimmy McAleer took his own life. He was 66 years old, and was buried at Oak Hill Cemetery in Youngstown. Note: An earlier version of this biography originally appeared in David Jones, ed., Deadball Stars of the American League (Washington, D.C.: Potomac Books, Inc., 2006). For this biography, the author used a number of contemporary sources, especially those found in the subject’s file at the National Baseball Hall of Fame Library. Washington Post, August 22, 1909; December 21, 1909; September 18, 1911; April 30, 1931. New York Times, September 16, 1911. Peter Golenbock. The Spirit of St. Louis: A History of the St. Louis Cardinals and Browns (New York: William Morrow, 2000). Franklin Lewis. The Cleveland Indians. (New York: G.P. Putnam’s Sons, 1949). Henry Thomas. Walter Johnson: Baseball’s Big Train. (Phenom Press, 1995). Robert L. Tiemann and Mark Rucker (editors). Nineteenth Century Stars. Society for American Baseball Research, 1989.